Garage doors have come a long way since they were first manufactured. Nowadays, people can find a plethora of beautiful and strong garage doors, which may be accompanied by useful and trendy accessories that may enhance their security. 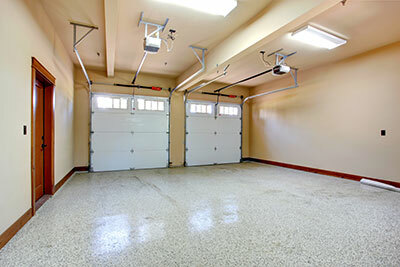 In fact, the basic role of garage doors today is to provide security. Most models today are automatic and accompanied by a garage door opener, which is mainly an electronic part of the whole mechanism that controls the opening and the closing of the door. Our company carries the most reliable openers, such as Chamberlain, Marantec, Liftmaster, Genie, Sears and Craftsman garage door openers. These are the strongest and fastest openers in the market. Basically, the key word is “fast”. People have the need to get in or out of their garages fast. Their busy schedules don’t let them waste a minute. Moreover, security is a major issue these days. When they come home at late hours, the need to enter their garages is urgent. Therefore, they need openers that will open and close the garage door with great ease. 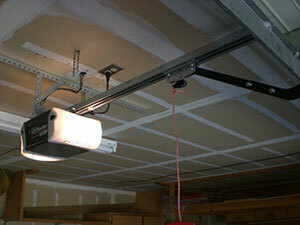 And new garage door opener models set the standards for the fast movement of the door. In fact, manufacturers have focused mainly on the speed of the door while it is opening; as it is wise to close at normal speed for increased safety. It is an amazing technology that saves you time while it gives you an extra security. It is basically the remote that signals to the opener your orders once you hit the buttons. The latest models use rolling code technology, which forbid unauthorized people to enter your private premises by digitally altering the security code the minute you operate the door. These are much stronger and certainly more reliable assets. At the same time, they are connected with the garage door sensor that will reverse the movement of the door if it will sense an obstacle. Thus, you can prevent sudden accidents. The remotes come out in various sizes and designs and you can choose the one that best suits your needs and your lifestyle. They can also light up so that they can easily be found in the dark or they can be small ones to fit in your keychain. The latest opener models are highly resistant to the extreme hot or cold weather and they operate smoothly even in very low temperatures. Some models also have a backup power that enables them to work even when the power goes out. As an overall, openers can manage to move the garage door in seconds with absolute safety. Yet, they must always be well maintained by professional experts, who have the right tools and the expertise to repair any possible damages.